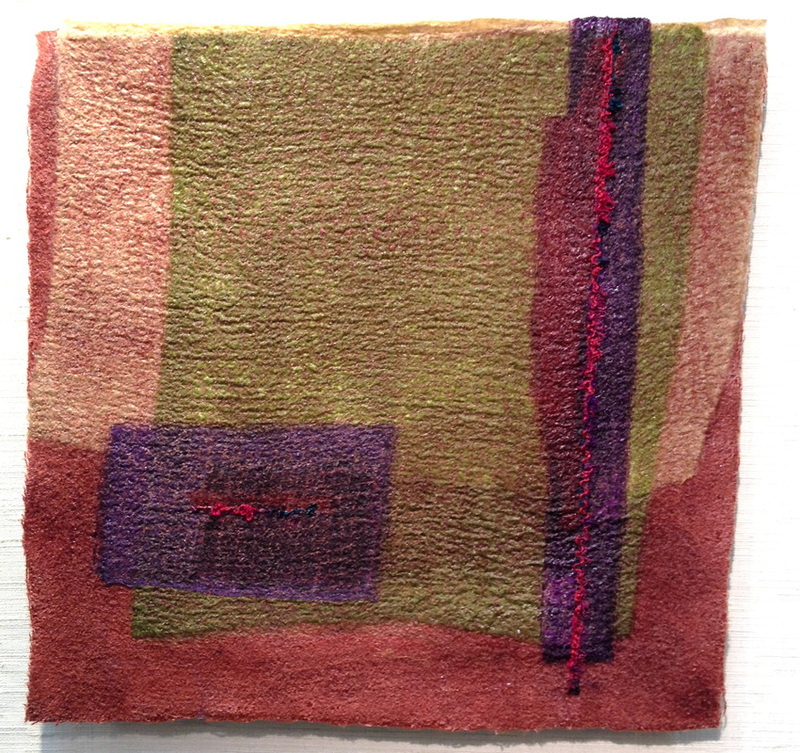 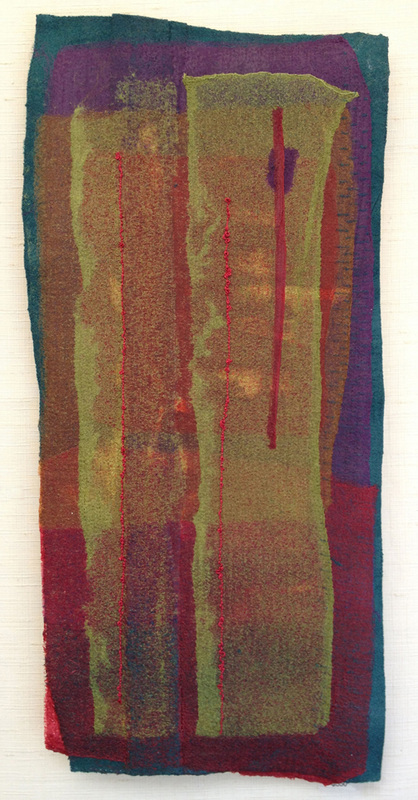 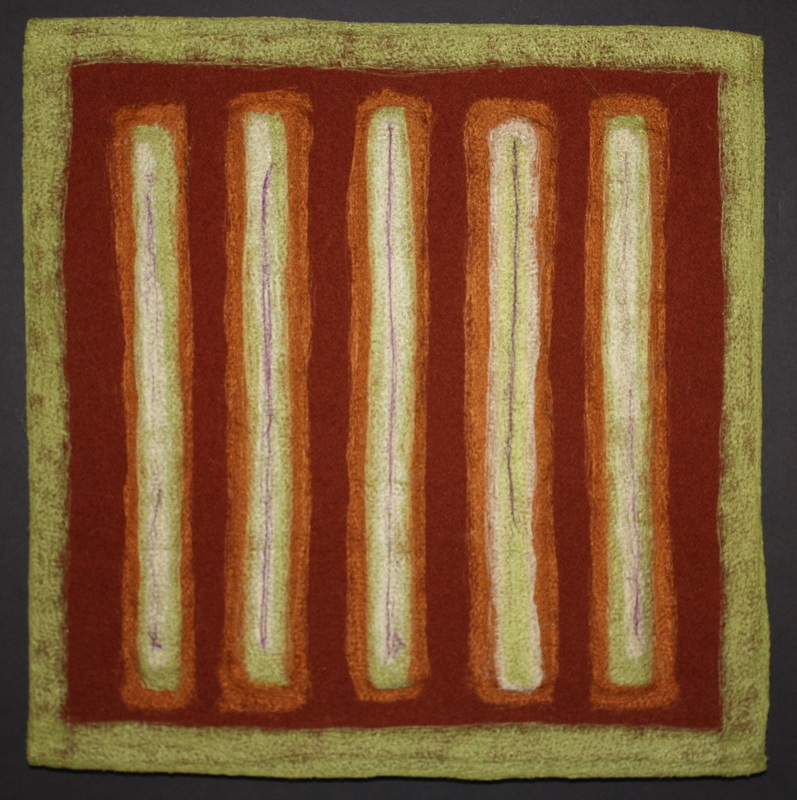 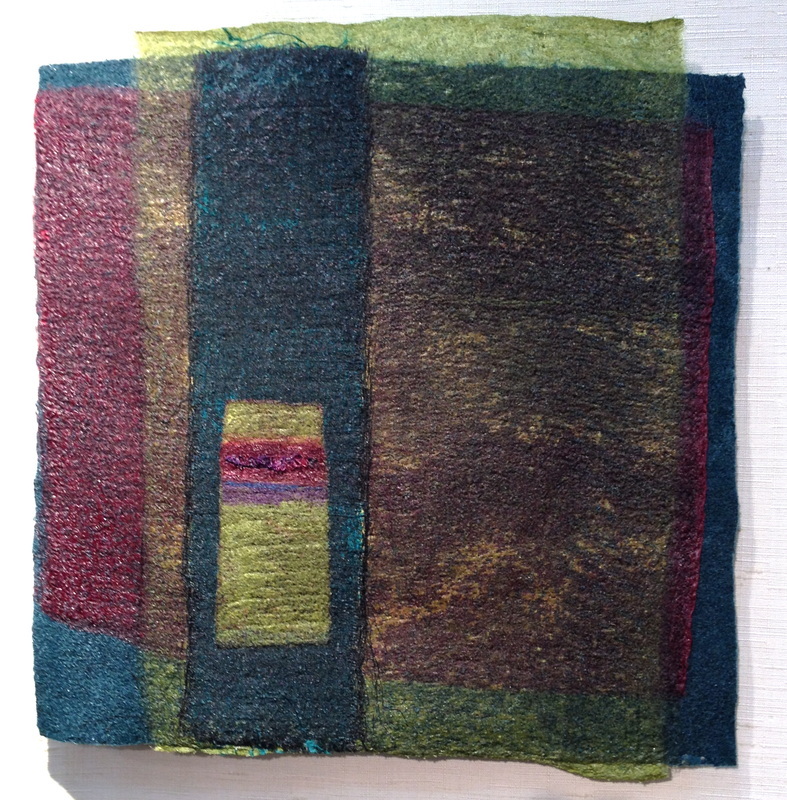 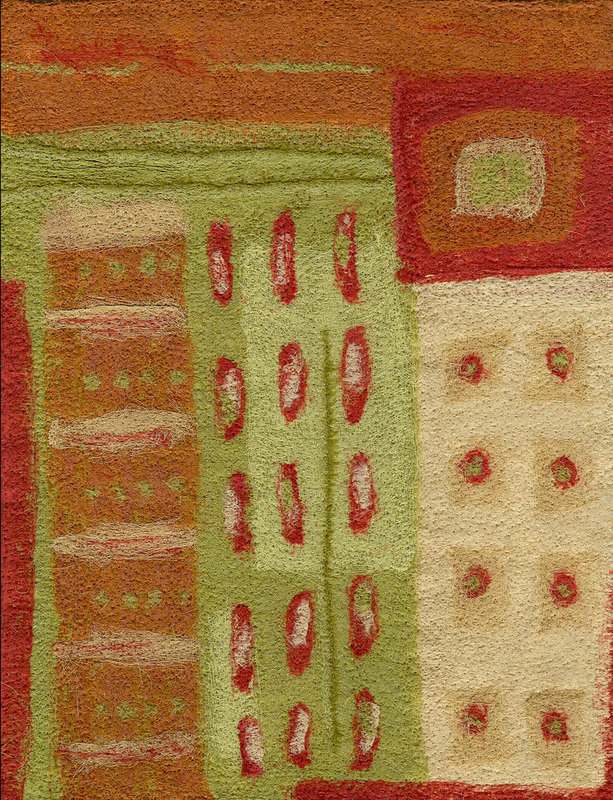 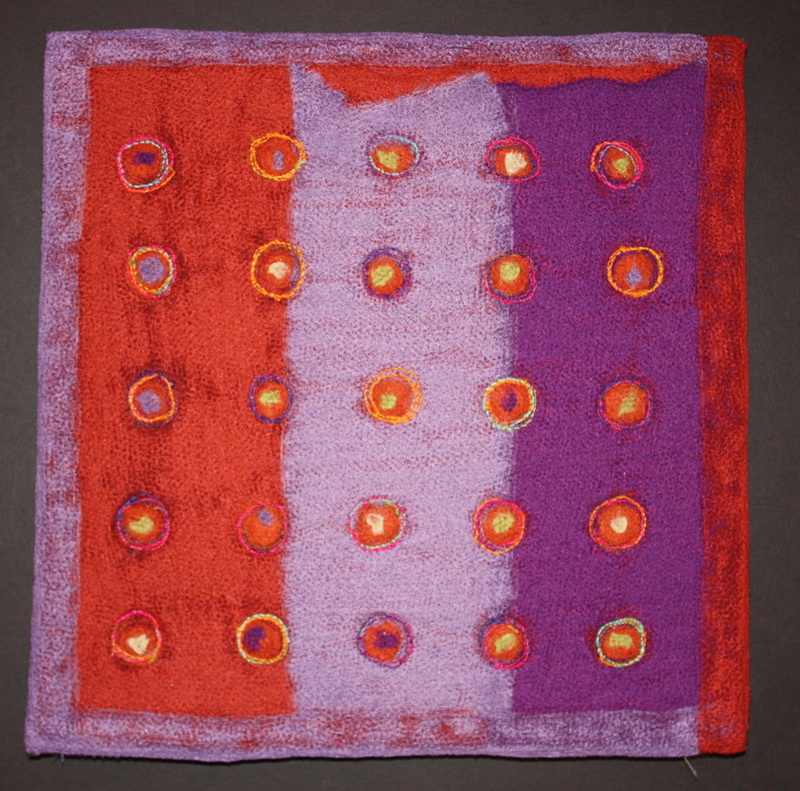 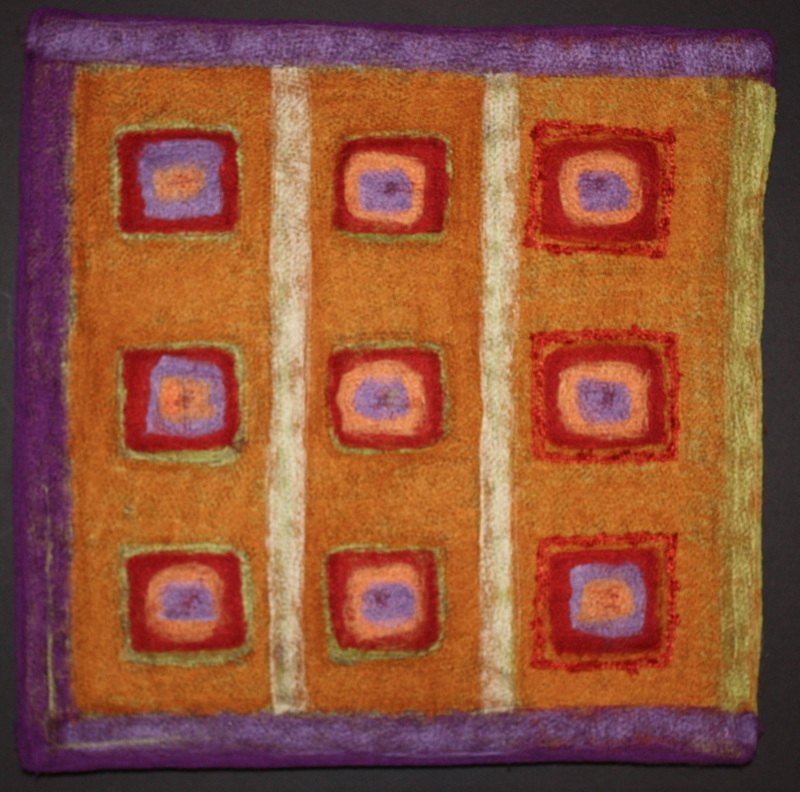 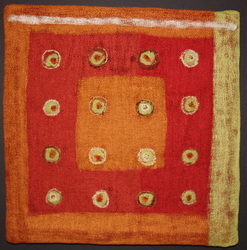 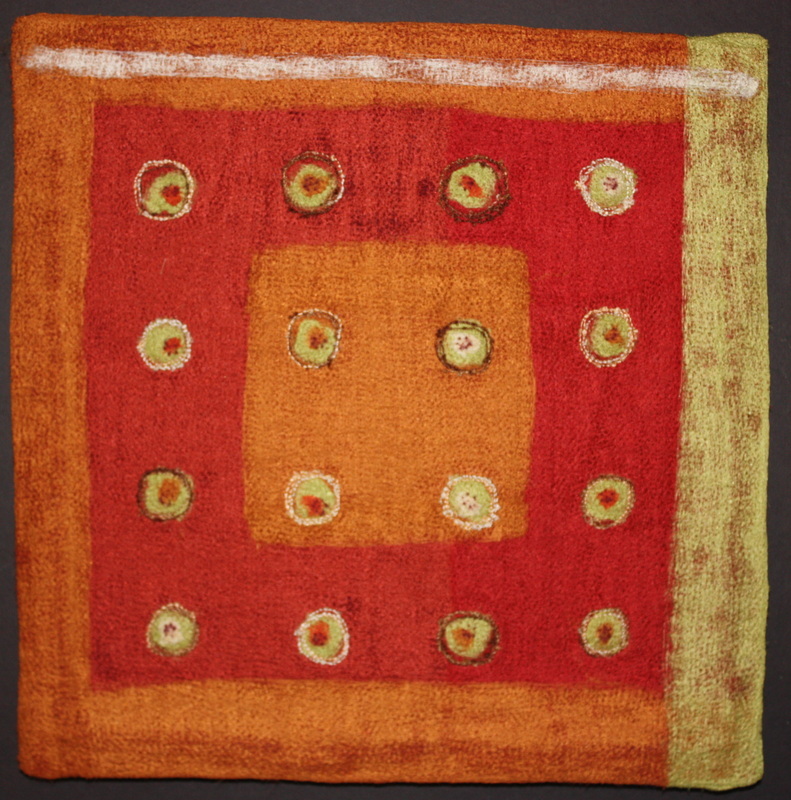 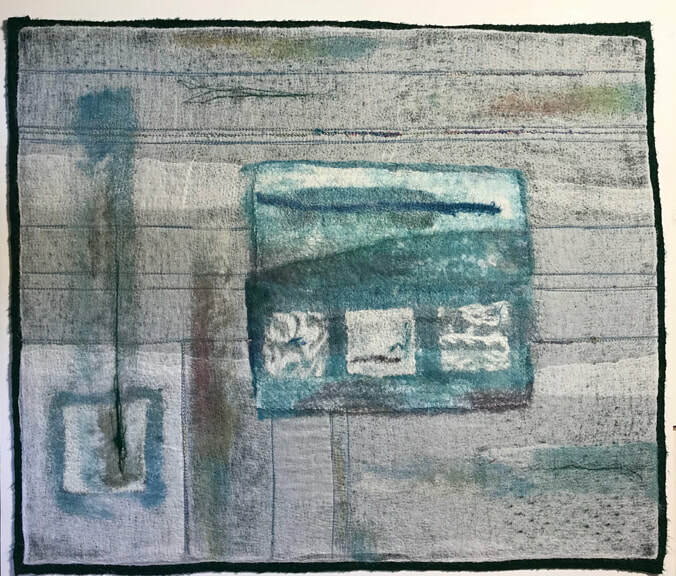 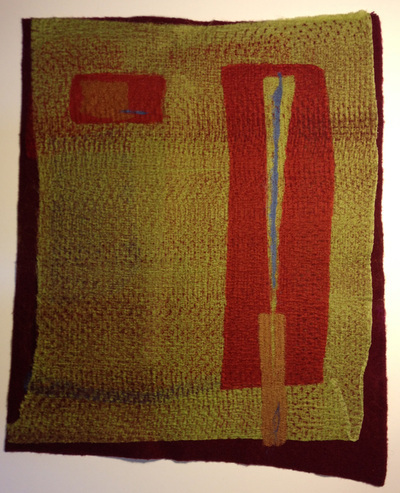 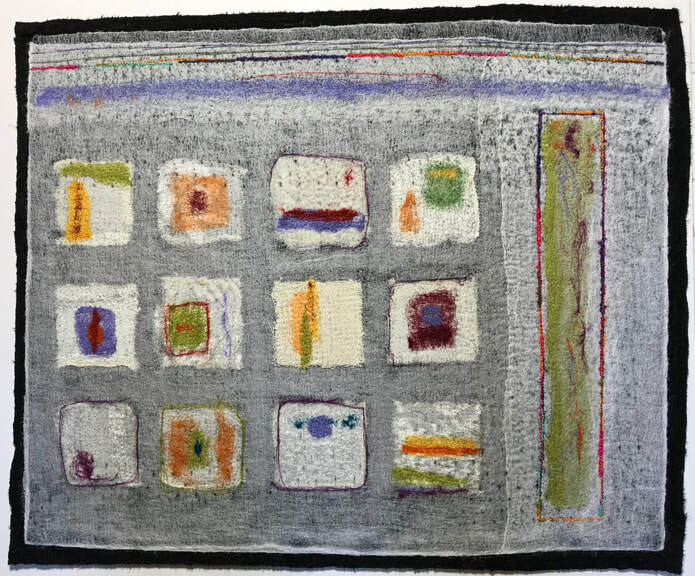 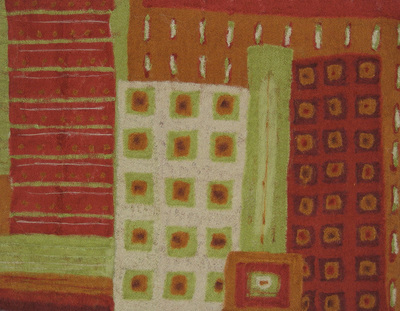 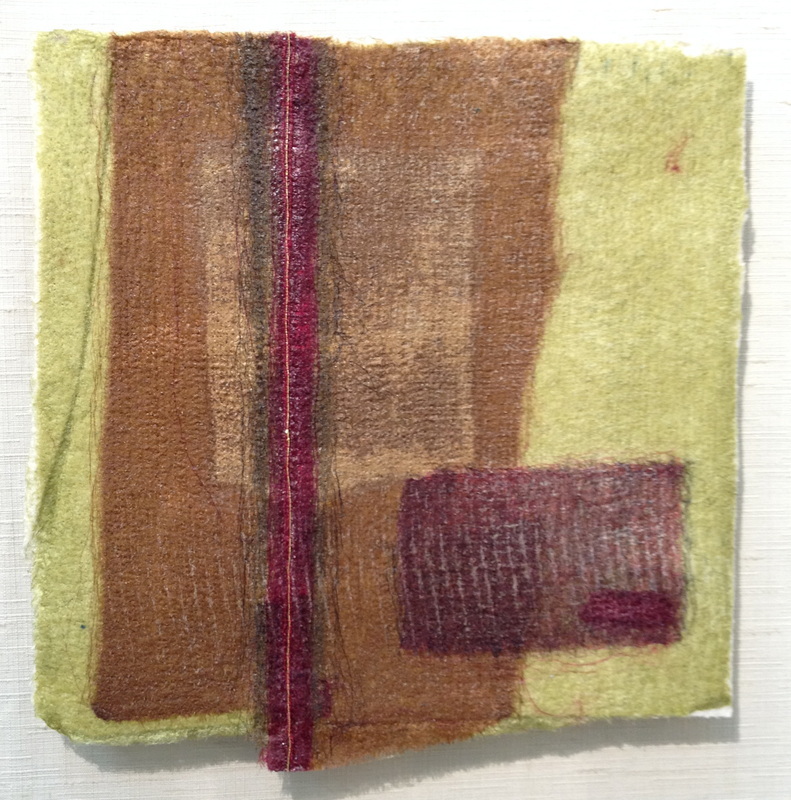 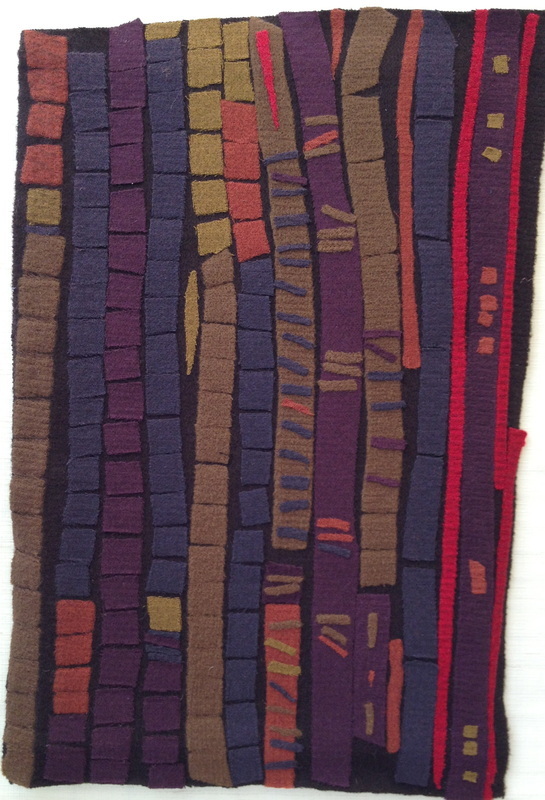 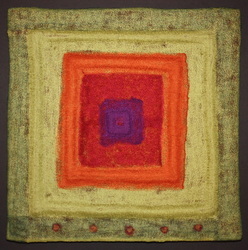 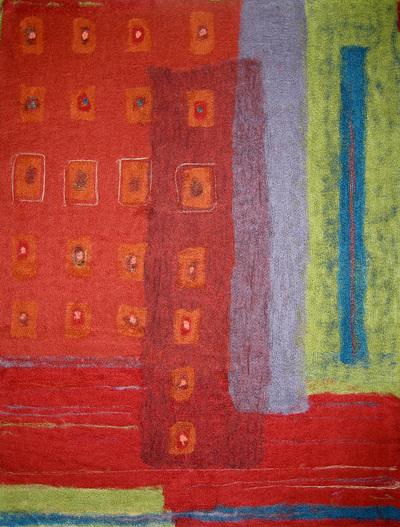 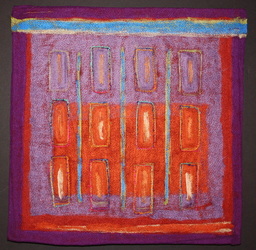 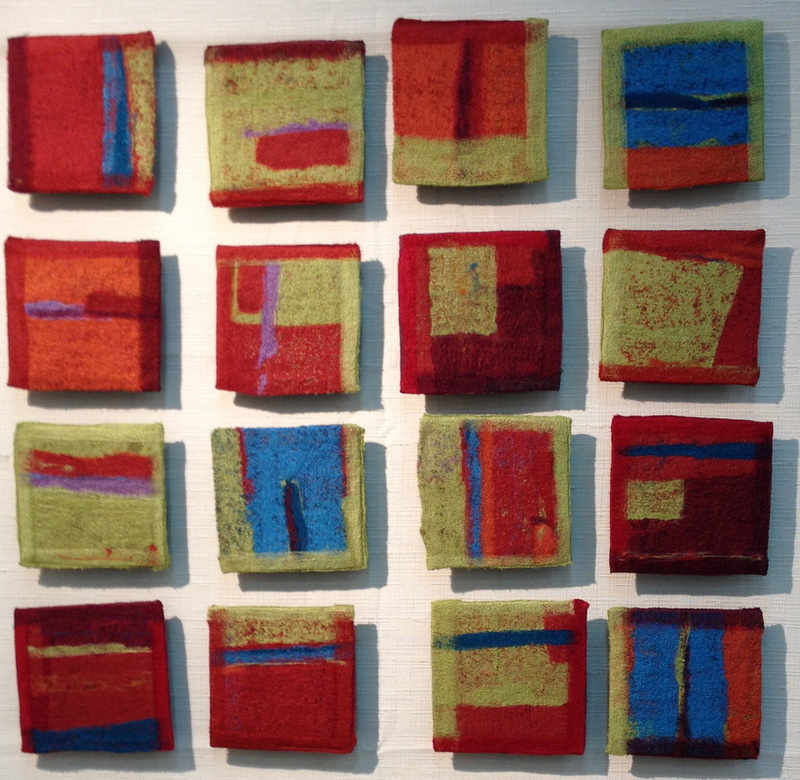 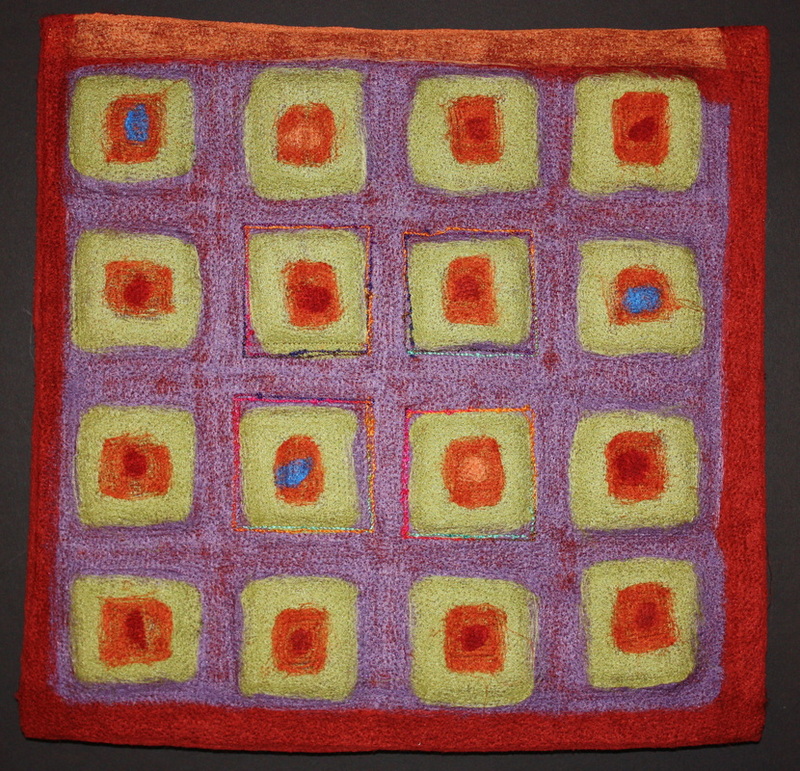 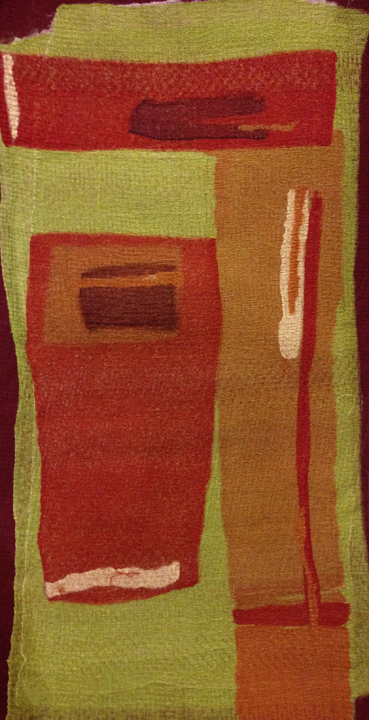 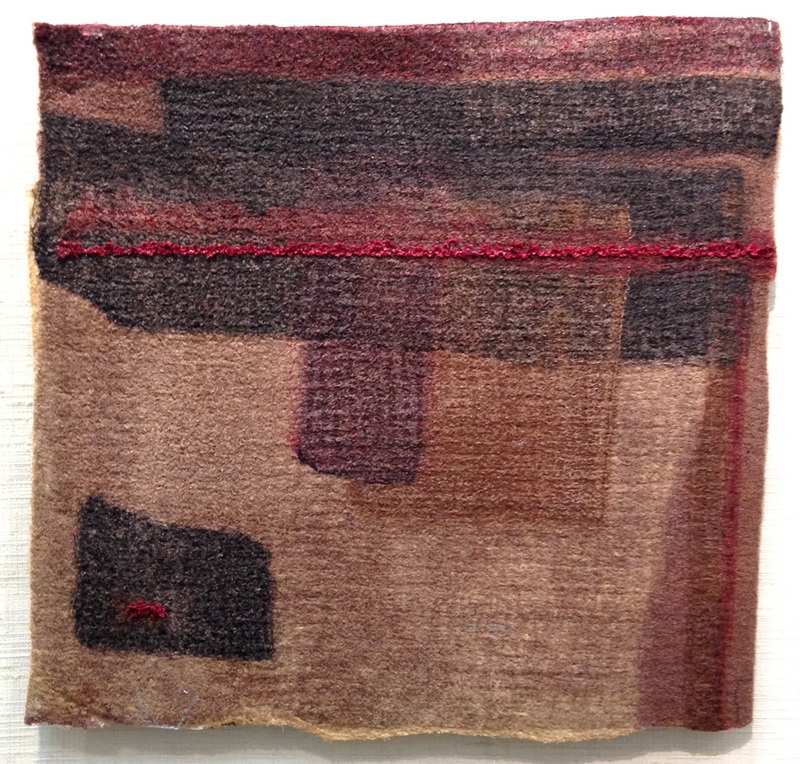 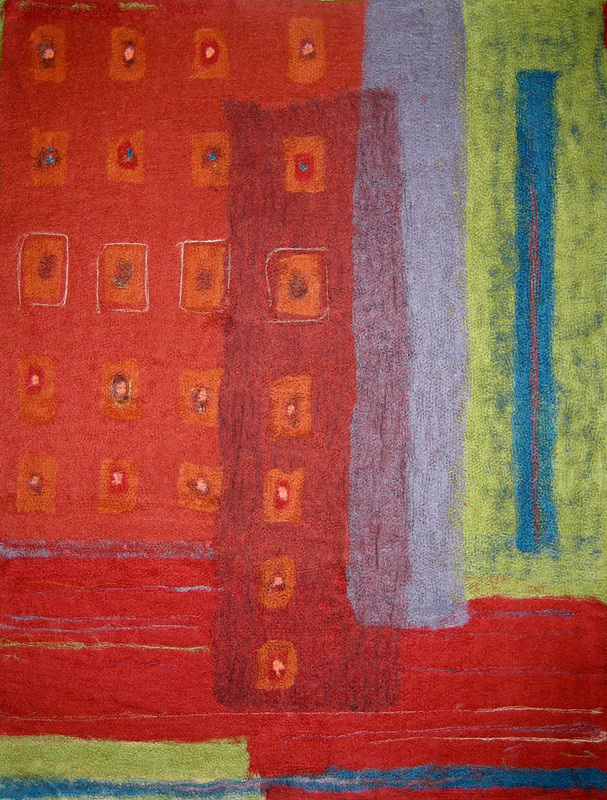 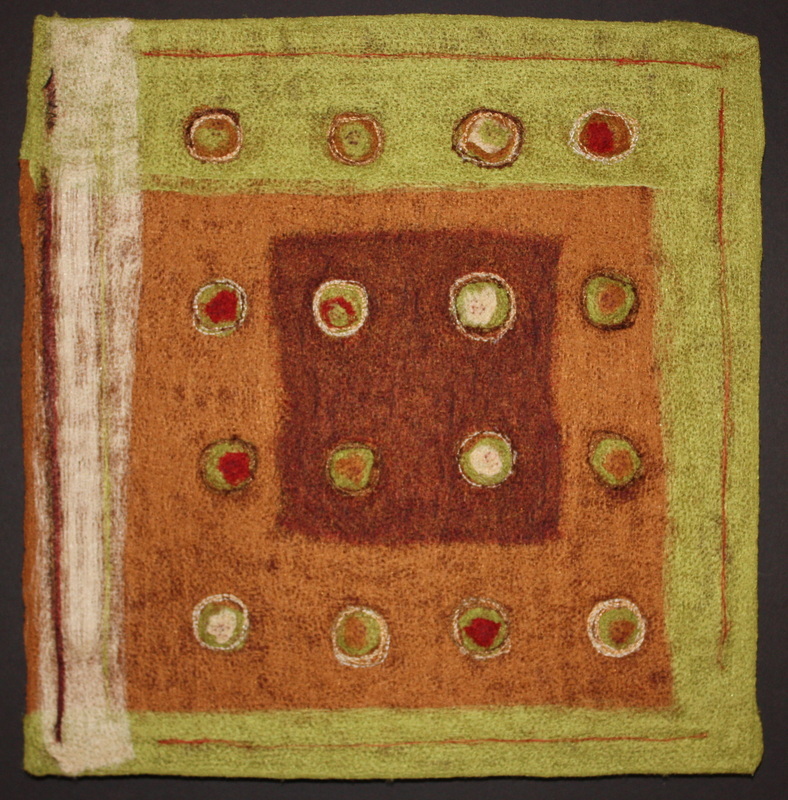 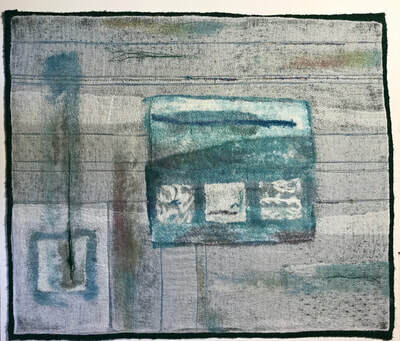 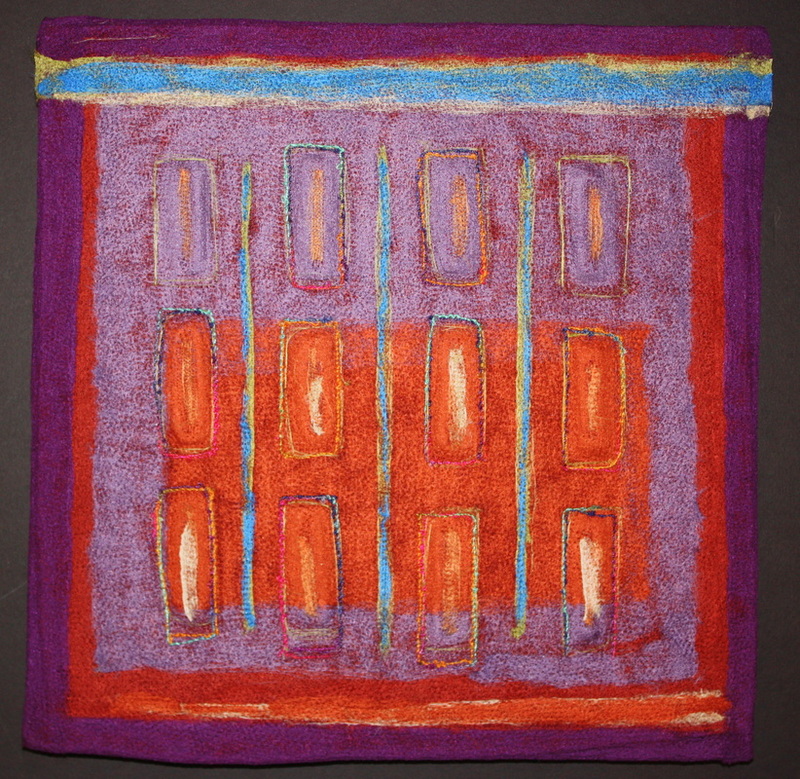 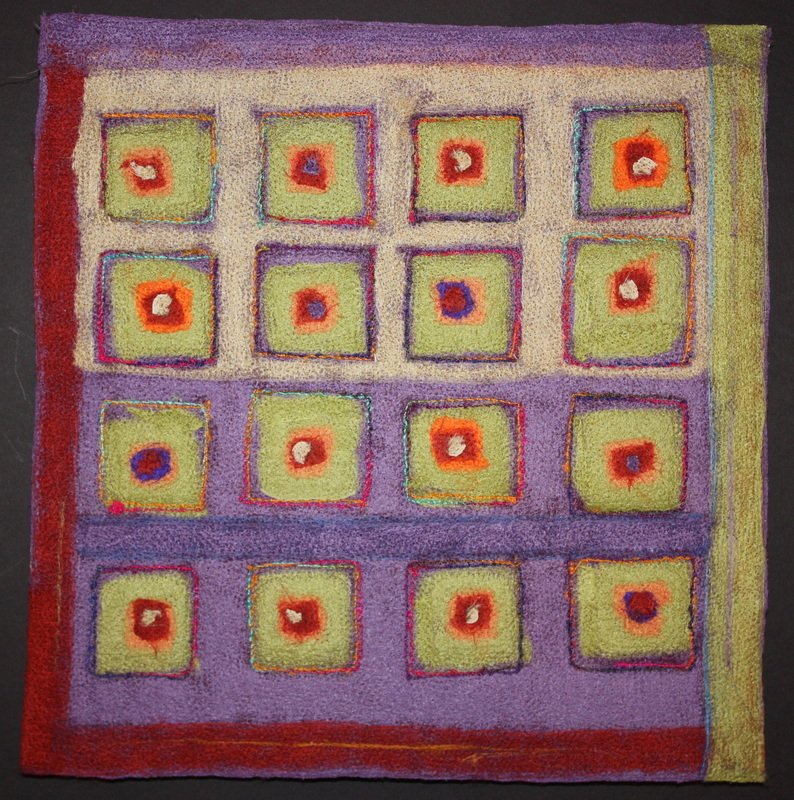 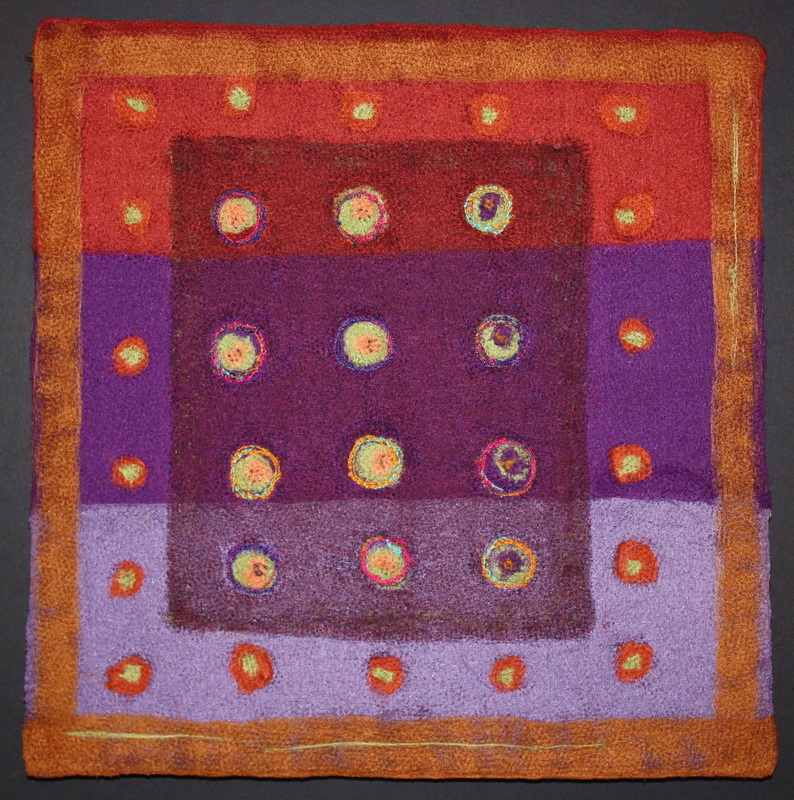 My abstract paintings in fiber combine dyed and hand-painted silks, layering and needle-felting. 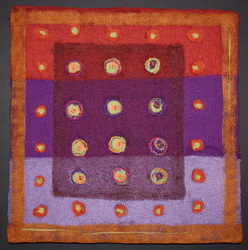 Each shade of color in the collage is produced by a different piece of fabric. 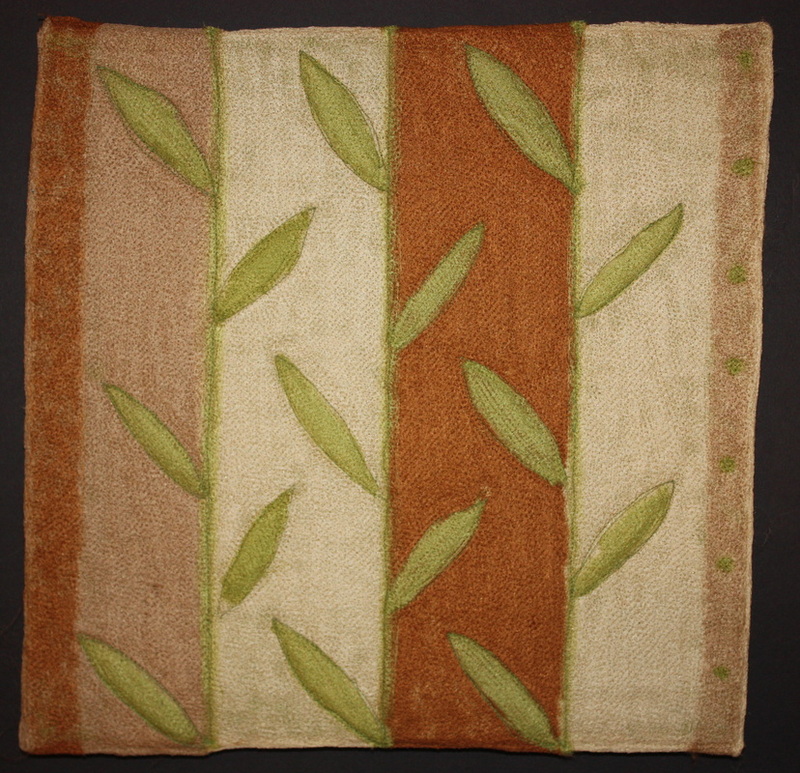 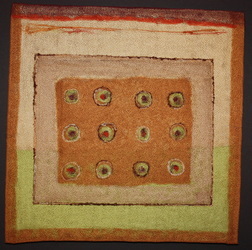 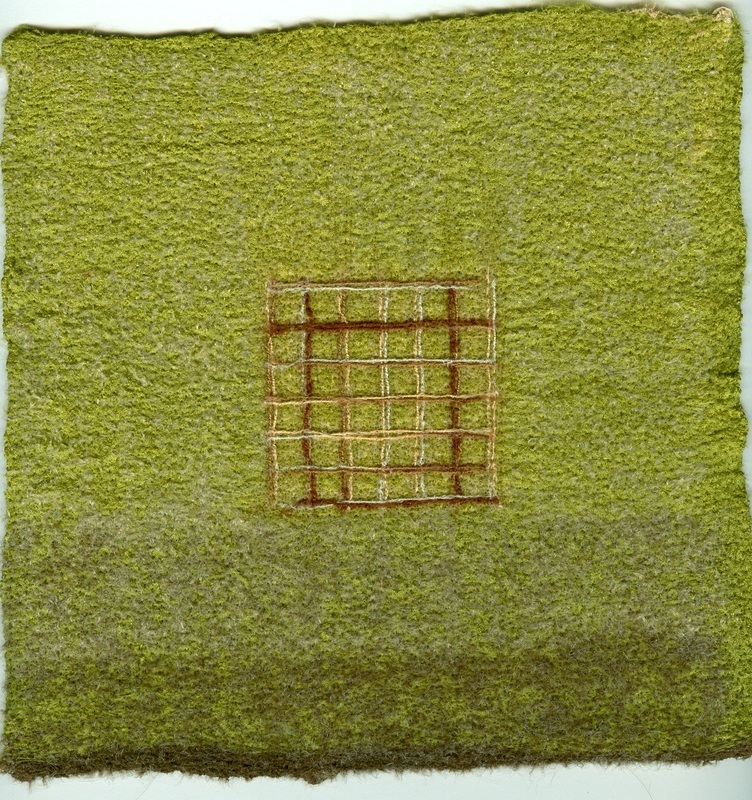 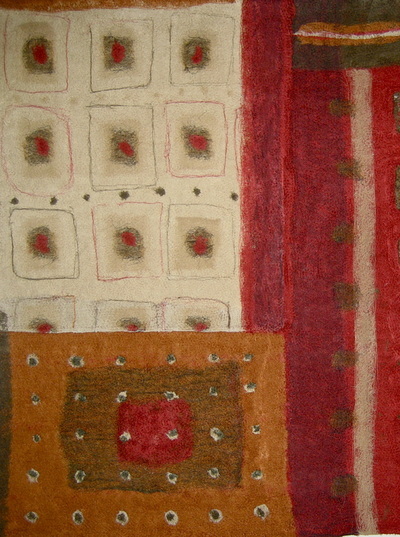 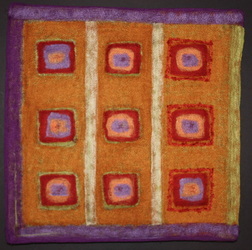 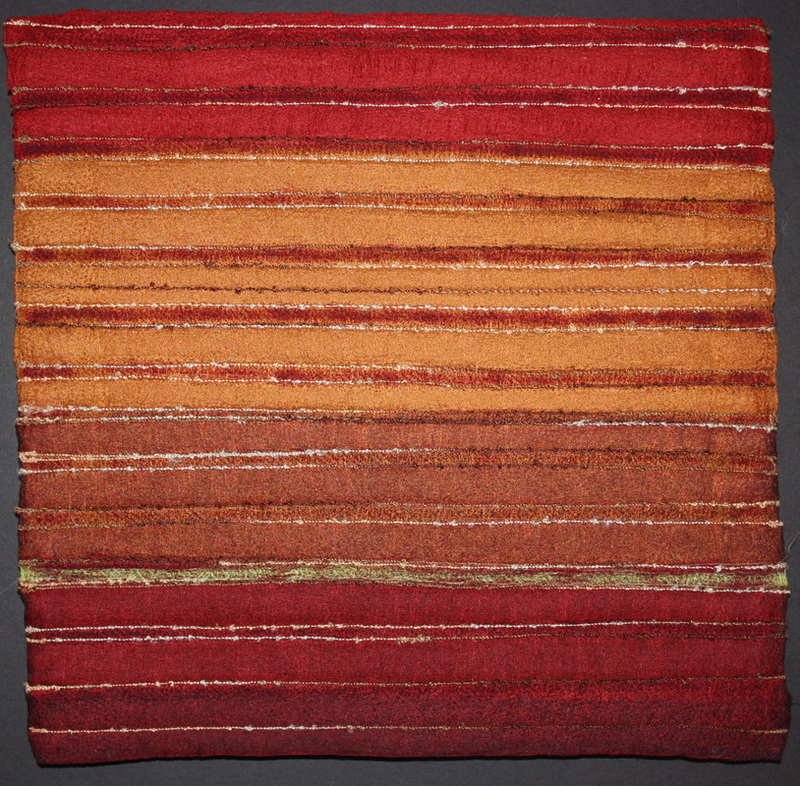 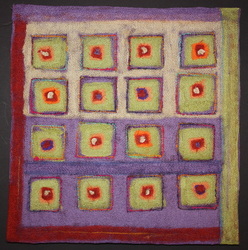 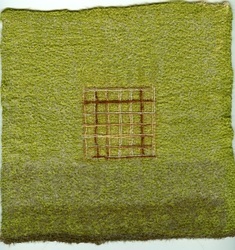 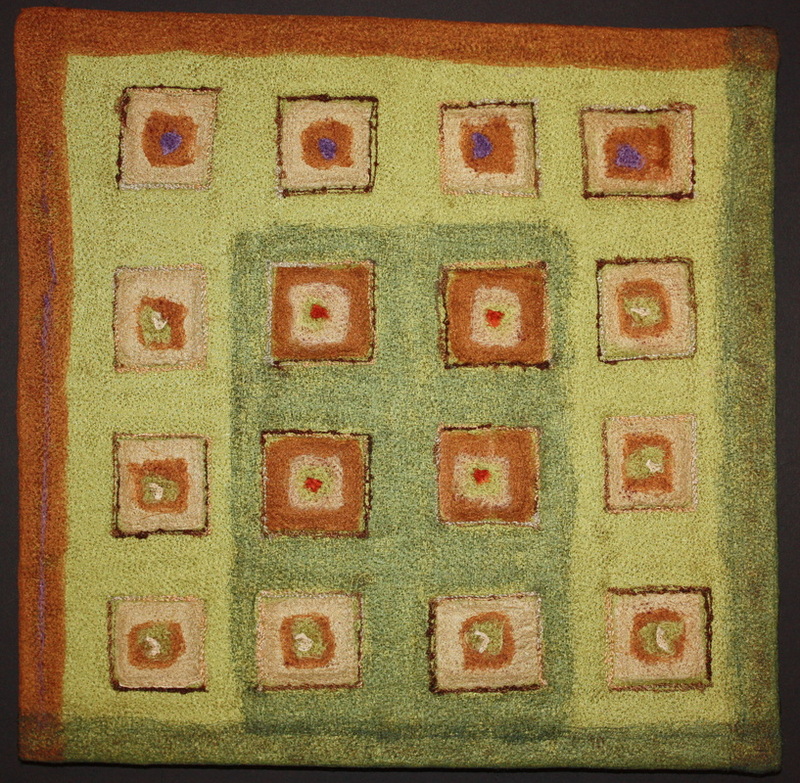 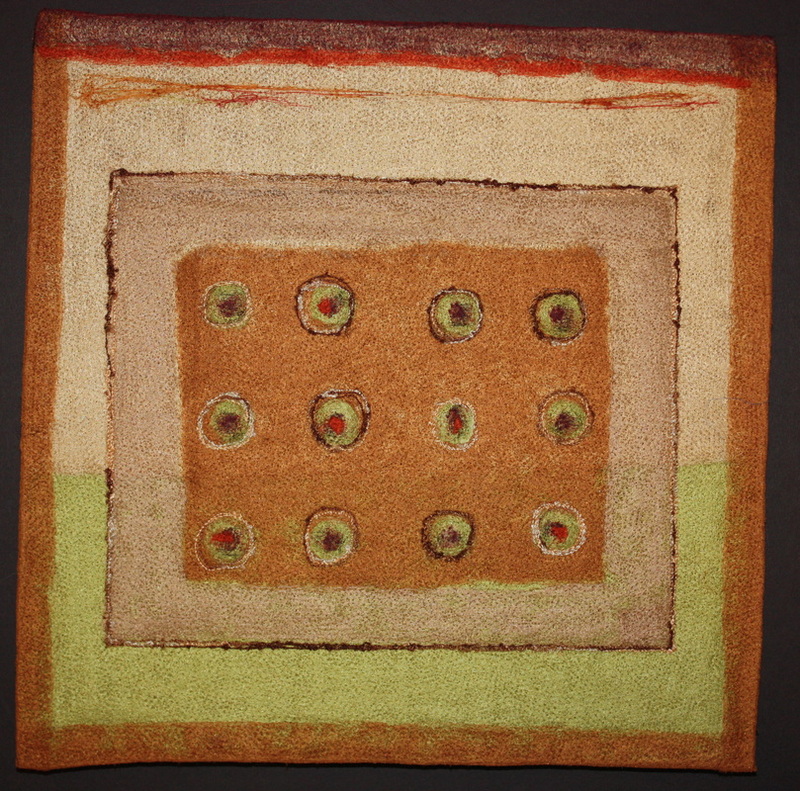 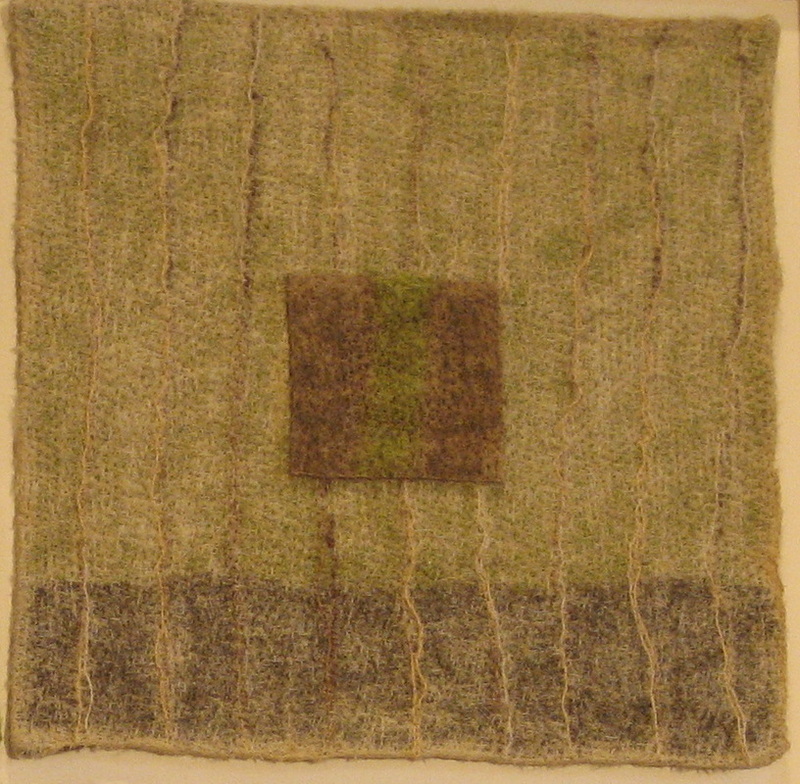 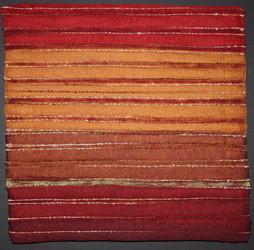 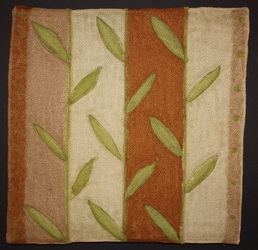 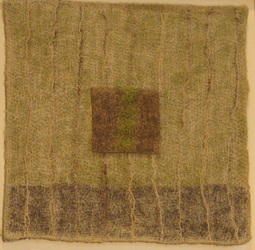 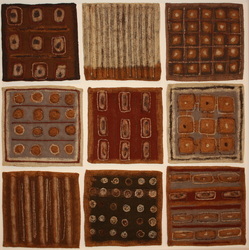 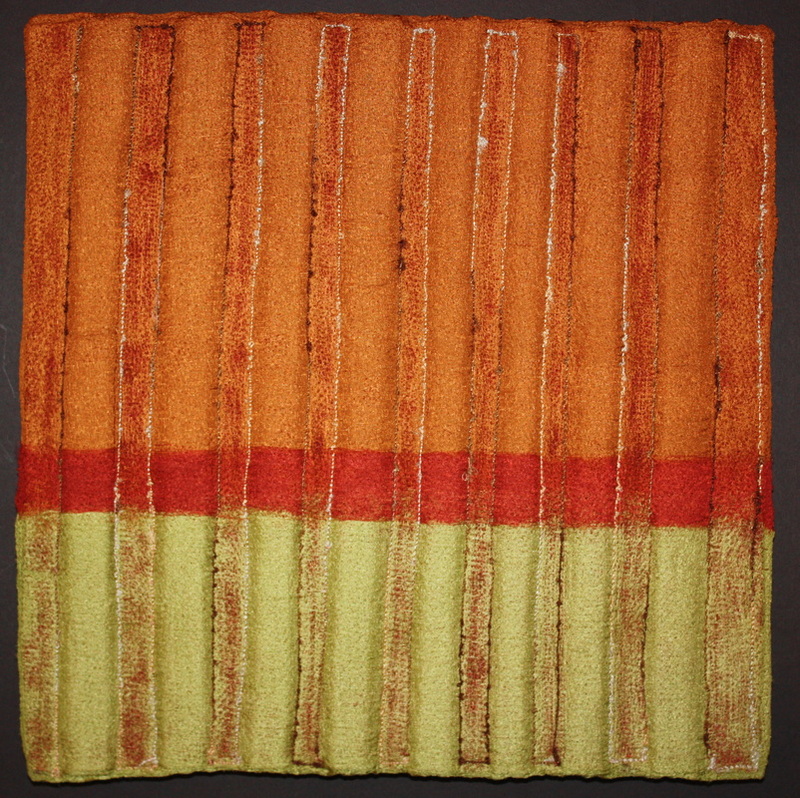 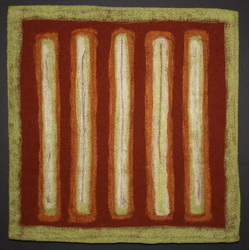 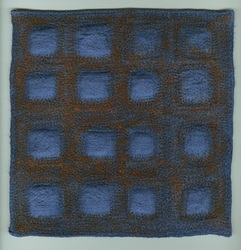 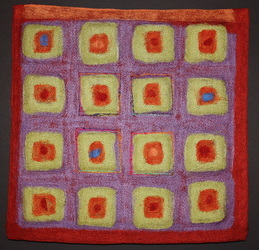 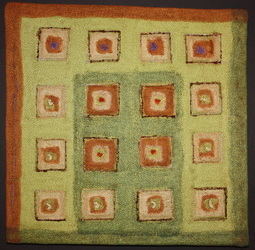 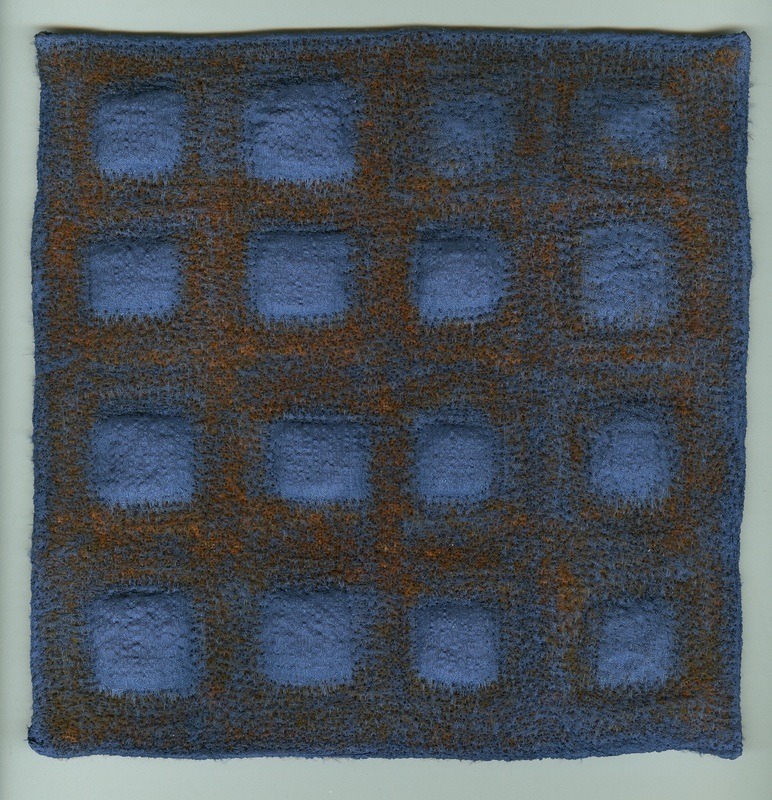 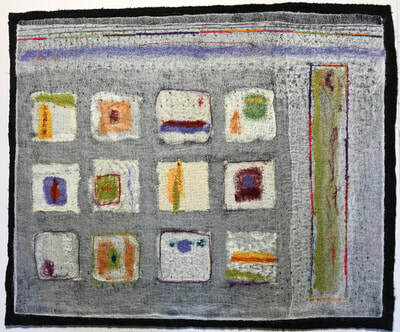 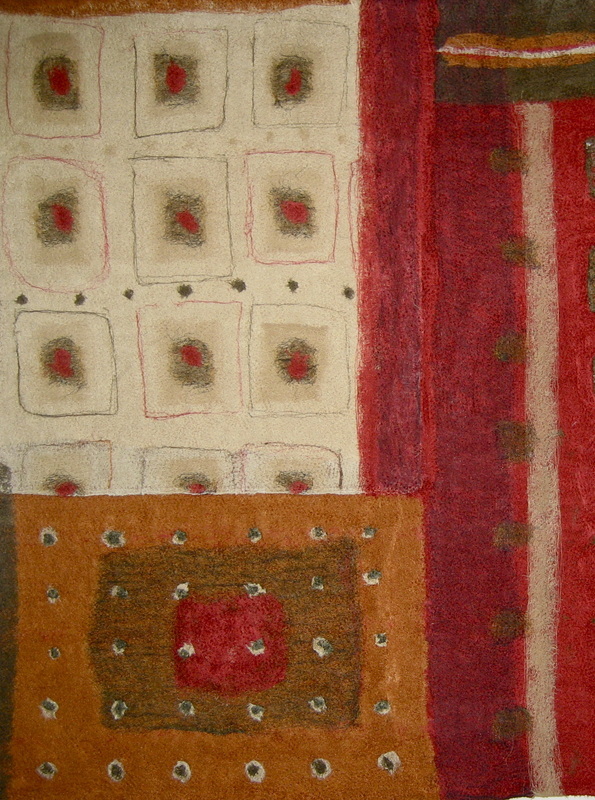 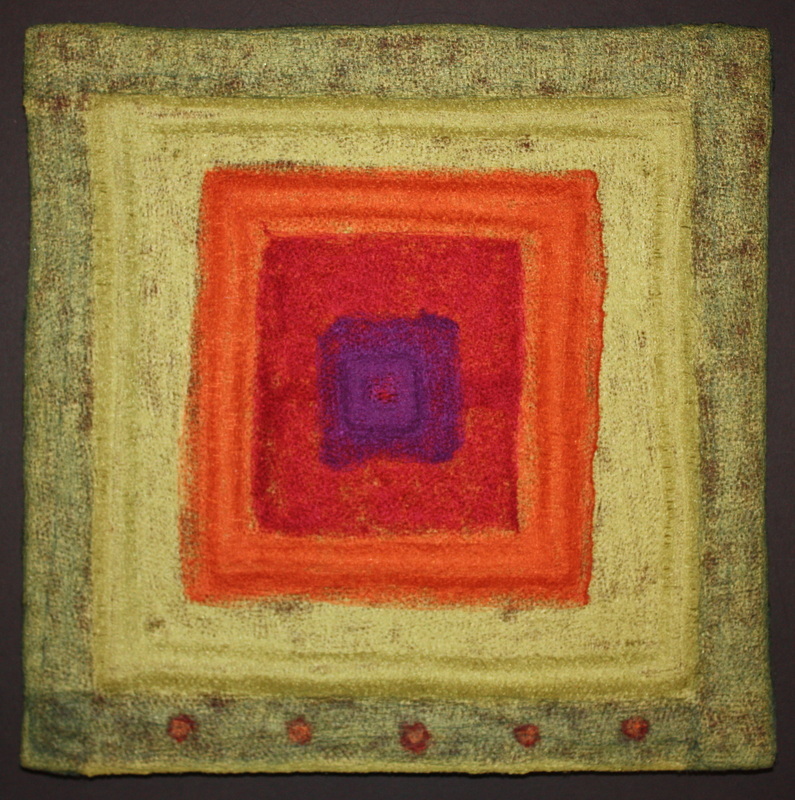 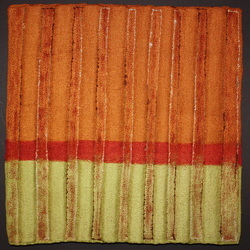 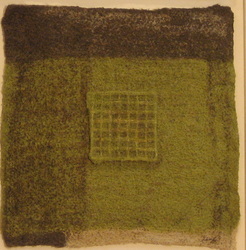 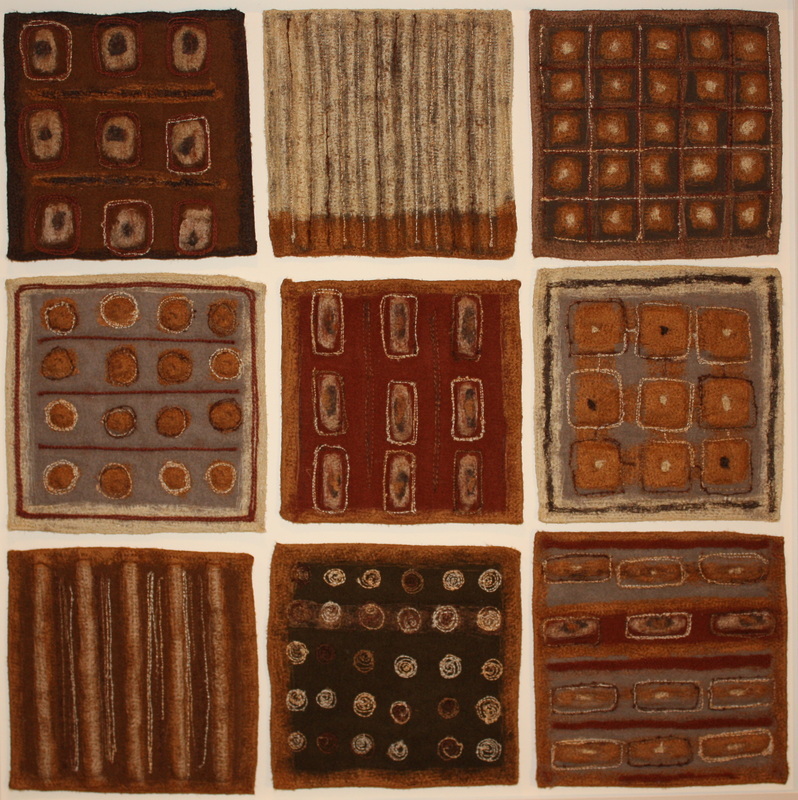 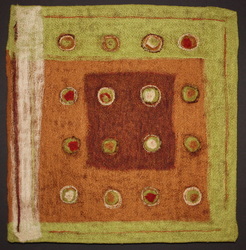 I assemble the work without the use of adhesives or stitching, using a needle-felting technique which merges the different layers of color together. 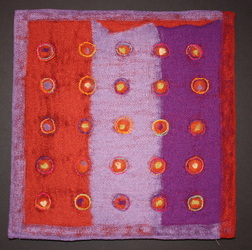 I use free-motion embroidery and/or bobbin embroidery to highlight details. 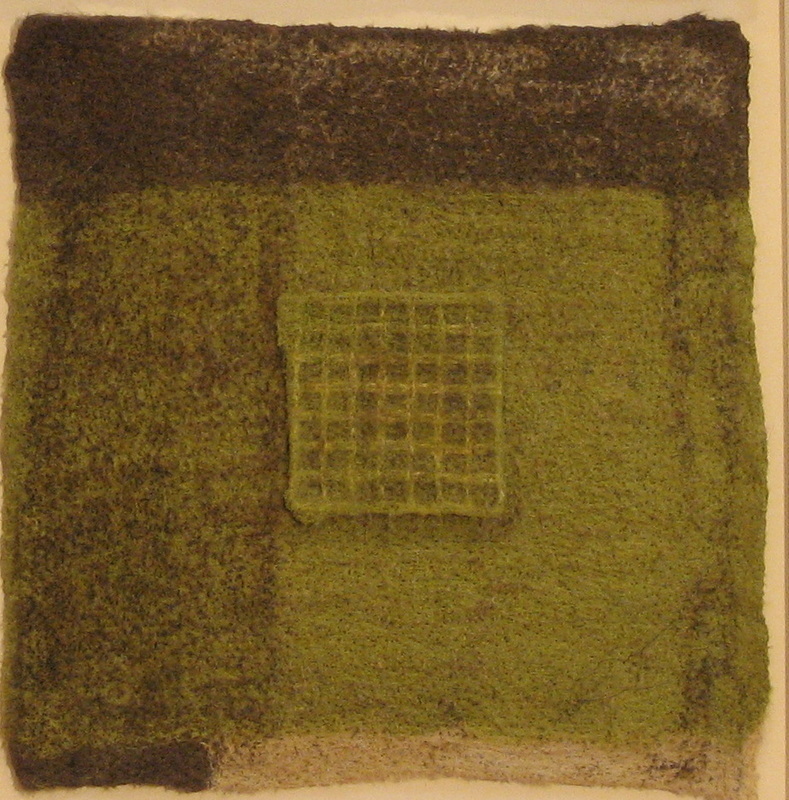 Most work is matted and framed.